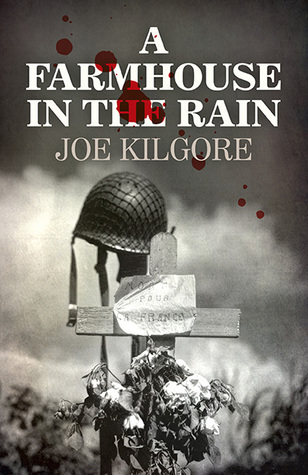 A sneak peak of our interview with Joe Kilgore, author of A Farmhouse in the Rain You can find the full interview here. Lily: If you had a superpower, what would it be, and would you want to be a superhero or supervillain with it? Joe: I’d definitely be a hero. There are far too many villains in the world today. And I think I’d go with incredible speed. A bit like The Flash. Not only could I right wrongs quickly, but also I’d save immeasurable time traveling, so I’d have longer to enjoy the destinations. Lily: That would be a great perk to being so fast, one I don't think a lot of people think about. You’ve just woken up, but your body feels funny and you aren’t where you fell asleep. Then it dawns on you – you’re in the zoo and you’re an animal! But which animal are you? Joe: I’m a black panther. The cat, not the political party. And I’m on the prowl. Lily: Beautiful animal. I think it would be fun to slink along and see things from a panther's point of view for a day. It’s a rainy Saturday, what’s your ideal way to spend the day? Joe: I suppose it’s a horrible cliché to say with a good book. So I’ll say with a good book, a favorite old movie, and an excellent bottle of Claret.